Google & Open Locksmith Love Great Reviews Please Click To Leave A Review. Meet the team Steve, Mike, Phil and others, we enjoy being a locksmith. Our goals as a team is to be timely and serve all clients to the best of our ability. The satisfaction we or individually feel when completing a locksmith job can be compared to Jeff Lynne when he finished writing and composing “All A Round The World” Electric Light Orchestra. We love this song and other songs of ELO. Seems to be a company favorite. We hope that you find as much enjoyment as us when you are performing your chosen craft. Open Locksmith New York offers locksmiths services for your home or business. 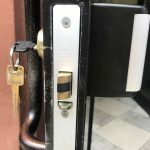 When you choose a locksmith call Open Locksmith New York Local Neighborhood Locksmiths and you will not spend a fortune to open or your home, office, car, or safe. We’ll provide you with locksmith services at very reasonable rates. Whether you need a lock repaired, key, and car opened or a safe combination changed, Open Locksmith is here for you. 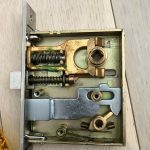 Our services include: Lock Repair and Replacement, opening safes, security lock Installation, lock picking, broken key repair, safe combination changing, deadbolt lock installation, emergency unlocking services, for automobiles, homes, and businesses, lock rekeying, and high security key making. We repair and cut and code all keys and fobs for Ford Keys, GMC Keys, Toyota Keys, Dodge Keys, Lexus Keys, Nissan Keys, Suzuki Keys, Mercedes Benz keys, all foreign keys, European car keys, and American keys. We install new lock systems such as Medeco, Schlage, Yale, Baldwin, Kwikset, Master Lock, and many others. 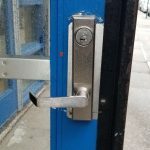 Commercial door locks are high security systems and need to be installed by a Tacnition with commercial locksmith skills.Call Today and you will love our professional technicians at Open Locksmith New York . 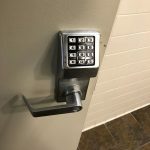 Your commercial lock systems will last longer than the term of your lease or building ownership. 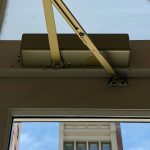 Most doors and systems are damaged due to vandalism and not wear and tear. Our techs work quickly to fix lock outs, broken locks and extract broken keys so you can get back in quickly. There is no job that is too big or too small for Open Locksmith Services. 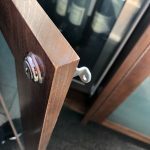 Whatever your security needs happen to be, Open Locksmith is here to help. We provide 24/7 emergency services in the event that you are locked out of your home, office, or vehicle. If you feel that your home or business is lacking in security, we can help with that as well. Get in touch with us today to speak to one of our representatives. Or just ask for a great locksmith.